Is your child struggling with school work? Do they have trouble in social situations or is their behavior causing problems throughout the day? The Brain Balance Achievement Center in Wilmington can help. 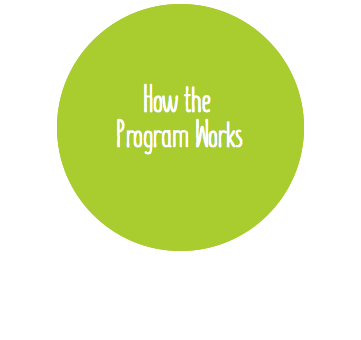 The Brain Balance Program is a drug-free, integrated approach that helps children struggling with academics, behavior, and social issues get back on track. The Brain Balance Program has helped thousands of children with learning and developmental issues. Through our personalized assessment, which consists of sensory motor, and academic testings, we are able to understand your child’s particular strengths and challenges. This allows us to develop a customized plan just for them. When it comes to helping children, we understand that each child has their strengths and challenges, which is why we focus on providing individual plans in order to help children get back on track at their own pace. Our unique, whole-child approach helps children in Wilmington reach their physical, social, and academic potential by combining sensory-motor trainings, academic activities, at-home exercises, and dietary guidelines. Services provided through Brain Balance can help to provide positive reinforcement for children with leaky gut. Our services help children achieve their goals and overcome their social, behavioral, and academic struggles. If you’re looking for assistance for a child with leaky gut, please get in touch with our center to take the next step. Stomach problems, specifically when eating gluten and dairy products, due to trouble with digestion. Vacant stares, dilated pupils, inappropriate behavior. Incredible cravings for foods containing gluten and dairy, such as macaroni and cheese or ice cream. Extreme agitation, anger, and hyperactivity. Could trouble in your child’s gut be effecting their brain? If your child is suffering from ongoing stomach troubles, we can help. Brain Balance’s clean eating nutrition plan for children can help to eliminate toxins from a diet, such as gluten, sugar and dairy, in order to improve gut and brain health. At the Brain Balance Achievement Center of Wilmington our dietary guidelines are part of our integrated approach, which includes at-home exercises as well as in-center sessions focused on sensory-motor activities and academics. These activities paired with proper nutrition can help to improve your child’s gut health. Improve Behavioral Issues And Gut Health Today! Making the choice to eat clean is a healthy option for everyone. It’s a life changing experience — one that you, your child, and your entire family will never regret. If you’re wondering how to address leaky gut, we have a plan for you! The Brain Balance Program in Wilmington can help to improve brain and body development by addressing your child’s physical, academic, and nutritional needs. Take the first step and schedule your child’s personalized assessment by calling our center at (302) 397-8465 or filling out the form above.